Supportive “ S ” Styles The Unsung Heroes! 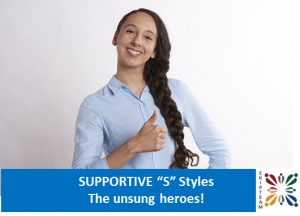 “High S” personality styles are often misunderstood … so this article is presented to help you to understand the S style better and hopefully clear up some common misconceptions you may have of this warm and friendly personality style. 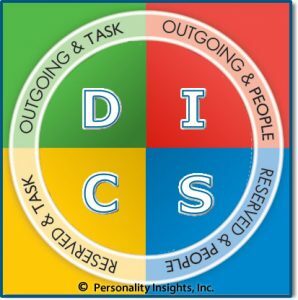 The DISC Model of Human Behavior presents four main personality styles and the “S” style is one of them, of course. The Supportive – S style is reserved and people-oriented. Reserved means they prefer being in a relaxed environment and prefer interacting one-on-one. People-oriented means that they are in tune with people and relationships. We use words like Supportive, Stable, Steady, Sweet, Status-quo and Shy to describe this personality style. S’s are easy to overlook, because they are often the last ones to speak up or attract attention. They are warm individuals who are the nicest group you will ever meet. They communicate in softer tones in a genuine manner. In a word – they are polite. They are not compelled to make decisions. Instead, they are usually happy to defer to the preferences of others to minimize conflict. 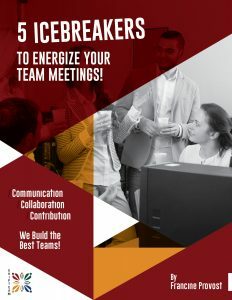 S – Supportive types want harmony, so they are ready to cooperate as much as possible to keep the peace. A common misconception about S’s is that they are always “doing fine.” Allow me to speak up for this quiet and unassuming group for a moment. S – Supportive types often serve and help others consistently while demanding little or nothing in return. When asked if they need anything or if they are doing “okay,” they will usually reassure us that they are fine. While that may be true most of the time, we all need to recognize when those around us have spent themselves or have not been heard. We need to see them for the unsung heroes that they are. They can be missed and unappreciated in our busy world that is happy to benefit from all of the help that “S” personality styles so willingly provide. One-on-one, “High S” personality styles have a gentle approach that is more personal. Their feelings can be easily hurt, and you would never know it. Show that you care! This is one tip that you cannot fake. You must be real. You may need to turn your intensity level down a notch when you are around a high S. You may need to set aside the task at hand for a time. Relax, have a seat and visit with him or her to see how things are going. Don’t expect an S-type to tell you what he or she thinks or feels right away (or even in multiple conversations). Give the S-type plenty of time to open up. Ask questions, be quiet and listen without interrupting. If you have S traits and are around people who are more intense, keep in mind that their intensity is not intended to stress you out. That is just their fast pace in action. Be confident and step it up a bit when necessary. What you feel and think are very important. You are important! Do not be afraid to speak up or to say “no” when necessary. Here is one way to say “no” in a polite way: Just say, “I’m sorry, but I am handling all that I can right now. I’ll need to pass this time.” You can be firm AND be nice at the same time. High S’s make the world a sweeter, nicer place. Let’s all show and express how much we appreciate these unsung heroes who are usually more concerned about serving than about being served.